Well, the years start coming and they don’t stop coming. Universal has tasked Illumination Pictures CEO and Despicable Me producer Chris Meledandri with rebooting Shrek and Puss in Boots, per Variety. The news follows reports in June 2016 that Universal’s parent company Comcast wanted to revive the Shrek franchise. 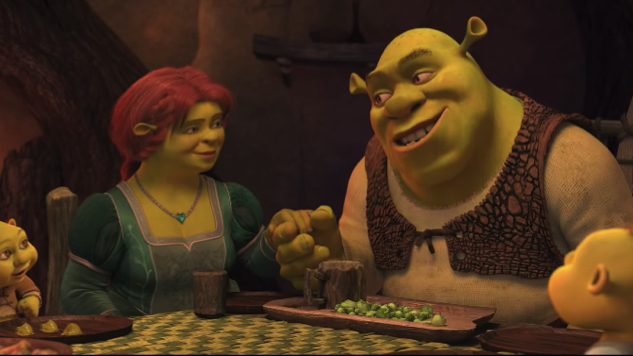 Earlier that year, in April 2016, Comcast acquired original Shrek producers DreamWorks Animation, which it folded into NBC Universal. This is the first time, though, that we’re getting reports of a full-on “reboot” of the Shrek franchise, the last feature installments of which were 2010’s Shrek Forever After, followed by 2011’s Puss in Boots. Admittedly, it makes sense that Shrek would be due for a reboot. Those last two installments did make a fair amount of money, although neither made much of a cultural impact (minus a memorable Puss in Boots reference in 2013’s Frances Ha). Meledandri says he wants to bring back the original voice cast, including Mike Myers, Eddie Murphy and Antonio Banderas, so maybe it’s not entirely what you’d expect from a “reboot.” Either way, if you even vaguely remember something from the past, you can expect it to soon become another piece of intellectual property.